26.08.2015 - Vimpelcom has plans to change the conditions of its online money transfer services from 3 September for the Beeline Brand. The new maximum transfer total will be RUB 200, the threshold and daily limit will be RUB 400, the minimum balance will not be able to go lower than RUB 50. RUB 5 will be the cost per transfer. 26.08.2015 - Megafon has upgraded its network, improving SMS, call and mobile data transfer services in its region in Yekaterinburg. 17 stations in total have been upgraded, including Nizhniy-Tagil, Kamensk-Uralskiy and Sredneuralsk. This will improve reliability and service for 900,000 residents. 15.08.2015 - Megafon has increased its total number of own base stations in the Rostov region of more than 20%. This means an improvement in SMS, calls and internet service in up to 30 different settlements in sixteen regions. They also plan to build one hundred new assets of various types to improve the infrastructure. 13.08.2015 - Beeline (company name Vimpelcom) will be giving away Alcatel onetouch Pixi 4 smartphones as part of a new tariff/package deal. For 3990 a package of services including SMS calls and the BEeline TV service will be available from the 17th August. 13.08.2015 - MTS plans to give a 25% rebate - or money back - to all customers who purchase a new Samsung Galaxy S6. The device, which costs 50600 Rubles will be sold with its customers having the ability to get just over 10000 Rub back. The dates for the promotion have yet to be specified. 13.08.2015 - The mobile operator MTS in Russia has made plans to go about upgrading its Service Level Agreement, or SLA, system for mobile services. This will increase service to corporate clients. It is doing this to optimize expenses and to improve the services to a currently instable corporate customer base. 08.08.2015 - In the Altay region, MTS has expanded its coverage and operations by twenty five percent on its LTE, 3G and GSM services (in doing so, the range for calls and SMS texts has also increased). This means that speeds of up to 75mbps are now available there. In addition, the operator plans to launch in Znamensk in September, and Guseletovo and Sentelek by the end of 2015. 08.08.2015 - MTS has launched over nine thousand (9160) base stations in the first half of 2015. That’s over 40% more than last year’s figures at the same time. The breakdown is thus: 4800+ LTE stations and 2500 3G base stations. 3G accounts for over 50% of the rise. Also, 550 indoor base stations were built as well. 07.01.2014 - MTS says that it added 10,000 base stations to its network during 2013, expanding its capacity by 13 percent. 10.02.2013 - Rostelecom has upgraded the network of its Akos subsidiary to HSPA in the Primorye Oblast. VimpelCom is offering free access to the mobile version of the Wikipedia website to its customers. 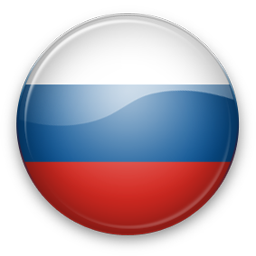 Rostelecom has started trials of its LTE network in Sochi in preparation for the Winter Olympics. 08.01.2013 - Vimpelcom has launched HSPA+ coverage in the Tomsk region of the country. MTS says that over the past year, it deployed 5,000 3G base stations and 6,000 GSM base stations nationwide, along with some 2,000 LTE base stations in the Moscow region. 17.12.2012 - Tele2 has announced that its CEO, Dmitry Strashnov is leaving after 4 years with the company. His successor has not been chosen yet. 29.11.2012 - MegaFon has expanded its LTE connection in areas of Novosibirsk and satellite cities Berdsk and Iskitim. 10.10.2012 - Yota claims to have deployed eleven LTE-Advanced base stations offering theoretical peak download speeds of up to 300Mbps. 02.09.2012 - Russian WiMAX to LTE network, Yota says that it has launched LTE services in St Petersburg. Q: Do you support all Russia networks? A: We support Beeline, Global Star, Megafon, MTS, Skylink, Tele2 and other networks. If some SMS network is missing please contact us and we will find solution for you. We work worldwide!